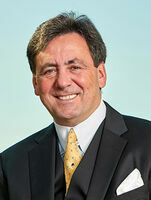 Philip has a proven track record as a successful senior executive with leading event companies. Before founding nGage Events LLC, Phil served as Executive VP for Questex Media and was responsible for their hosted model events and technology group. He has also served as Senior Vice President of the World Market Center in Las Vegas in charge of growing their event portfolio in the furniture, gift and home accessories industries. Mr. McKay held the position of Group Vice President and General Manager at Gartner's Vision Events, where he managed the teams of 10 different brands which were leaders in the hosted events in each of their verticals. He also served as Senior Vice President of International Business Development & Operations for Key3Media Group, overseeing the company's portfolio of COMDEX and N+I with 20 plus markets in Latin America, Europe, Asia, Africa and Australia. Prior to Key3Media, McKay was Group Managing Director for Penton Media. In 2004, Mr. McKay was recognized and awarded a Lifetime Achievement Award from Tradeshow Week magazine for his outstanding and distinguished contributions to the global events industry. McKay is a member of the board of directors of SISO. Was an active member in the Massachusetts Convention Center Advisory Board, also was past chairman of IAEE Senior Executive Advisory Board and The Future Strategy of Trade Fairs. He also was a past member of the Research Committee of CEIR and editorial advisory board member of Tradeshow Executive Magazine. Paul has over 20 years of experience as a senior-level sales and business development executive for leading events organizations. He first started in the events business as one of the original employees that helped build Hill Holiday Exhibition Services into one of the most successful event producers in the world. Recently, he has successfully launched several digital transformation summits, including ET Exchange Summit, ET Canada Exchange and an internet of things summit, IoT Exchange Smart Cities. Prior to that, Mr. Samargedlis led the sales efforts relative to all things Mobile and Wireless for the COMDEX brand. Paul was also responsible for leading double-digit growth for the Gartner Group as a sales director and industry consultant. He has worked extensively with the analyst community in several industry verticals and has fostered numerous relationships with supporting industry associations. Mr. Samargedlis is very active in Massachusetts state and local politics, and currently is in his third term as a member of the Norwood School Committee. Spencer is responsible for audience acquisition and overall Event Management for a portfolio of events including ET6 Exchange along with ET Exchange Summit, ET Canada Exchange and an internet of things summit, IoT6 Exchange. Spencer has years of experience selling, recruiting, and executing the hosted model format within the technology industry. Prior to joining nGage Events, Spencer was the Marketing Director and Emcee for the hosted model Smart Grid Summits focusing on mid-market Electric Municipalities and Rural Electric Cooperatives. Tom is responsible for audience acquisition of nGage's digital transformation, IoT and HR Tech events in addition to graphic design, event photography, website management and marketing. Prior to Joining nGage Events, Tom worked in Attendee Relations and Audience Acquisition at Questex. Outside of work, Tom enjoys mountain biking, running and XC skiing with his two German Shepherd dogs, as well as gardening and hobby farming. Lisa is the Event Operations Director for nGage Events. She has over 18 years of experience in Event Planning, specializing in event operations, logistics, and attendee recruitment and coordination. Over the years she has successfully executed over 750 hosted model events in her 18 years with Gartner Worldwide Events, PPM Media, Questex, HanleeWells Expo and now nGage Events.